Visiting breweries is obviously not the focus of the PCT. But good news everyone! If you’re into craft beer, there are a lot of options along the trail. We all have to get in to town to resupply anyway, right? Here is my non-comprehensive list of breweries you could conceivably get to while hiking the PCT. The ones I was able to visit on the trail are marked in Bold. 2160.5 21 Hood River, OR 5 breweries! This is awesome!!!!! Thank you for your hard work at procrastinating!!!! My start date is April 18Th 🙂 I love the “progress” map as well, how did you come up with that or where did you get it? I have a blogging website and I think it would be really cool to do something similar for my family and friends here in Michigan. Hey Alison. 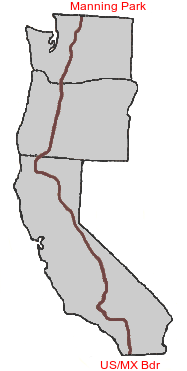 The map is loading directly from Craig’s PCT planner. If you export a plan from his site there’s a start and end “ID” number for each town, which is encoded in the map – this one ends with “1-10.png” because Lake Morena is ID 10, so I’m basically just going to change that number as we get to new towns. We haven’t started yet but I wanted a map as we go. Thanks Liz! Corrected. Harder to say out loud without the extra ‘a’ in there. Thanks for the resupply tip too, I’m sending a box there and I haven’t written the address yet. You left off Thunder Island Brewing in Cascade Locks. It’s walking distancefrom Bridge of the Gods, and they have a jar for people to pre-pay for thru-hiker beers! Pre-paid beer!? Great idea. Now I just have to walk 2160 miles to get it! Maybe we’ll see you out there somewhere. Trust me you don’t want to miss Alpine Brewery. Great fun. 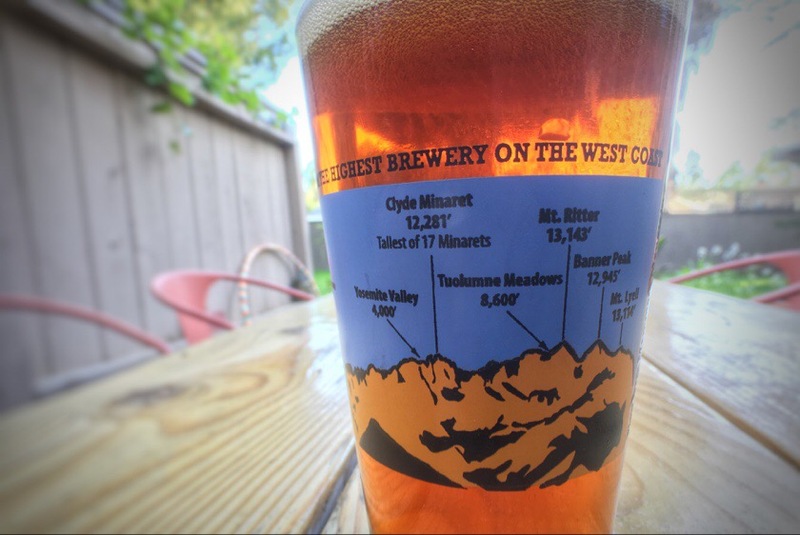 The glass in the photo is from Mammoth Brewing – “the highest brewery on the west coast”. I got it a few years ago during Sacramento Beer Week, back when their beer was easy to find here. It looks like they still sell a coozie and a hammock with the same graphic. Maybe they’ll send you a glass if you ask nicely! It would be cool to have a PCT breweries glass – “the worlds longest pub crawl”. I think I’d be doing a disservice without recommending June Lake Brewery. You’ll find June Lake, and its brewery, between Mammoth and Lake Tahoe, and it shouldn’t be missed! If you time it right, plan to visit the neighborhood food truck, Ohana’s, which is conveniently located outside JLB most of the time. Both are absolutely delicious. Have fun! Thanks for living the dream. Thanks Laura. I saw that one but I wasn’t sure if there was a good way to get there from the PCT. I can certainly recommend the 395 IPA at Mammoth and I’ve had a good though possibly overpriced porter from Calder called Moogli’s. I couldn’t pass up the cute picture of the dog on the label.